Dental services provided to Children (especially those in the Head Start and Early Head Start Programs) - any child age 4 to 18 years of age who meets the economic eligibility guidelines may receive services; Medicaid is also accepted. Children may receive clinical preventative and restorative services. Emergency dental care for any child is available during the weekday schedule. Services are provided on a sliding scale based on income- some services are free of charge. The charge for any procedure is decided once all eligibility paperwork is filled out. Accept patients enrolled in the Children’s Medical Services Program and the South Florida Community Care Network. Finding dental costs for procedures is difficult. We created this section so users of our website can see what others have paid for dental treatment at Ft. Lauderdale Health Center - Dental Clinic (Children only). Do you know how much Ft. Lauderdale Health Center - Dental Clinic (Children only) charges for services? Attention We cannot guarantee the dental costs to be completely accurate. They are displayed for informational purposes for our users. We have compiled prices provided by users and online research. 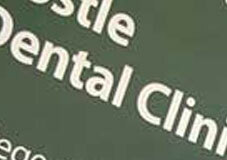 In order to obtain actual costs please contact Ft. Lauderdale Health Center - Dental Clinic (Children only) directly.